The Israel School Abroad is an exciting innovative project that has begun operating in 2015 at the Natan Gesang School in Buenos Aires, Argentina. 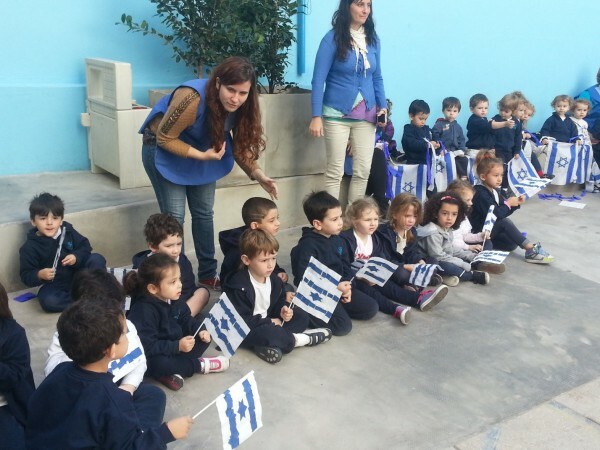 Working in complete cooperation with the Buenos Aires Department of Education and Israel Ministry of Education, the Natan Gesang School is evolving into an International Israel School along the lines of the French model for international schools. The vision is to have a school that is completely steeped in Israeli education, culture and language both in and outside of the school. The Natan Gesang School will be incorporating elements of the official Israeli curriculum into its own curriculum, creating a new model for Jewish Zionist Education that can be replicated within schools throughout the Diaspora. During the 2015-16 school year, a pilot run of the project will be introduced to first through seventh grade students and their teachers. Upon receiving full approval from the municipal Department of Education in Buenos Aires, Hebrew courses will replace Argentinian courses of similar content. In addition to the core curriculum being taught in Hebrew, courses studying Jewish topics will also be taught. Israeli culture will be further promoted through activities that include watching popular Israeli television shows, sporting events and exposure to Israeli artists, writers and politicians. In addition to working with Israel’s Ministry of Education, the project is supported by Buenos Aires city authorities, the World Zionist Organization and The Jewish Agency. The Israel School Abroad project is expected to take five years to be fully implemented, with the first two years focusing on implementation and an additional 3 years evaluating and adjusting the program. The Pincus Fund for Jewish Education is pleased to be involved with this innovative initiative in the field of formal education and to help build this exciting new model for Jewish Zionist education, which can be replicated in schools throughout the Diaspora.